Our road trip lasted 7 days. We hired a car and got to visit all of the places in this itinerary, spending 1-2 nights in each place. It was do-able, but it was intense and I definitely felt I could have spent more time in every destination we visited. To enjoy a more relaxed and leisurely pace, I would say that this itinerary would be perfect if spread over 10-14 days. That way you can make sure you’re really getting the best of every place you visit (because trust me, they’re all unique and full of so much to see). 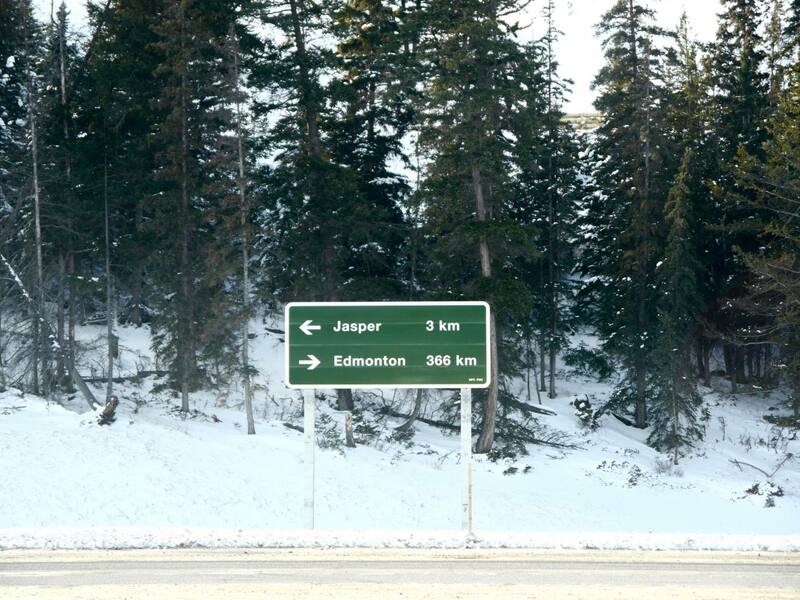 We travelled from Edmonton to Calgary but the route could easily be done in reverse if that works better for you. 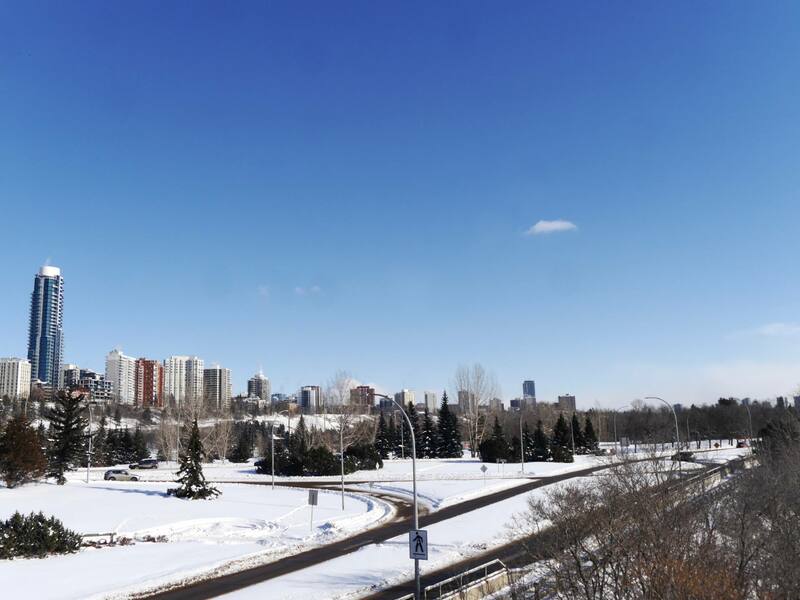 Start your adventure in Edmonton, a vibrant and gentrified city built around the banks of the Saskatchewan River. With incredibly friendly locals, we found it the perfect place to be introduced to the Canadian way of life. Edmonton is the capital of Canada’s Alberta Province and is known by many as the city of festivals (it has the biggest Fringe Theatre Festival in North America). 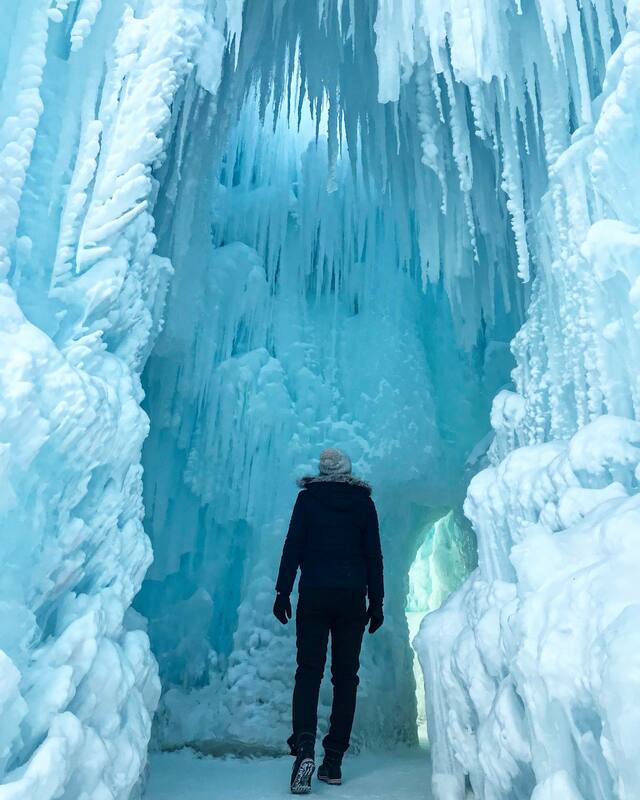 We spent our time cycling along the frozen Saskatchewan River with River Valley Adventure Co, visiting the magical Ice Castles in Hawrelak Park and exploring the bohemian neighbourhood of Old Strathcona. 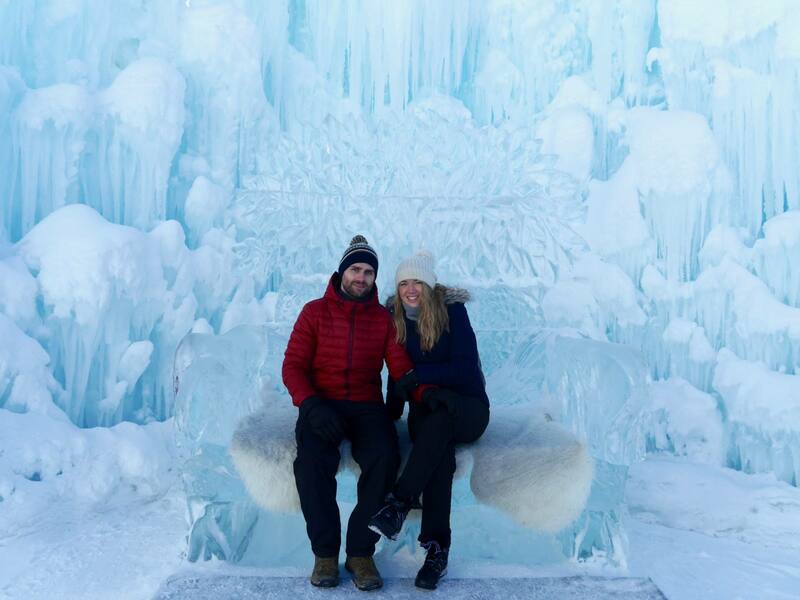 The Ice Castles are one huge advantage of visiting Edmonton in winter, and they usually stick around til mid March. There’s also some incredible restaurants, bars, brunch spots and craft beer taprooms to discover, which will be featured in my Dual Guide to Edmonton and Calgary. Coming soon! 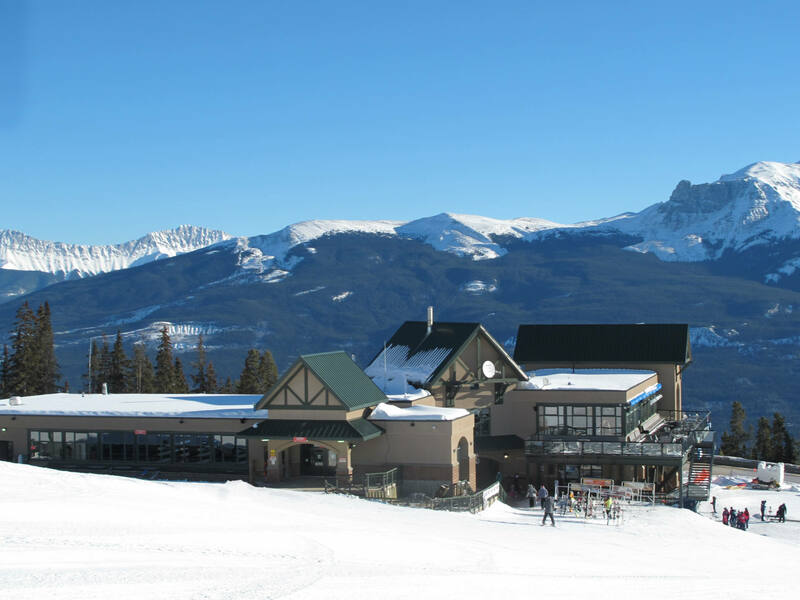 After getting a city fix in Edmonton, hop in your hire car and take the 4-hour drive to the little town of Jasper in Jasper National Park. This easy drive is mostly long and straight along the Trans-Canada Highway. This is where you’ll catch your first glimpse of the iconic snow-capped Rocky Mountains. I remember feeling so excited as we drove towards them! There’s a gate at the entrance of Jasper National Park where you’ll be asked to buy a Park Pass. Every car that enters needs one. 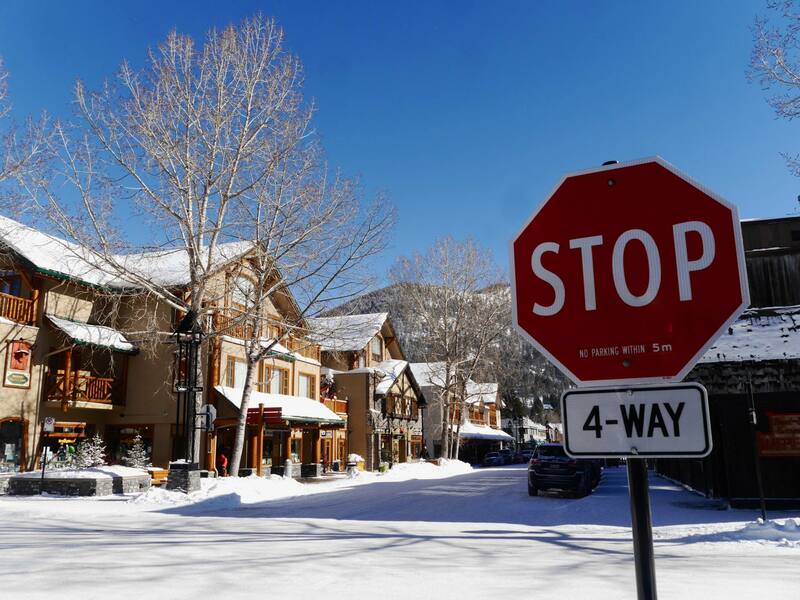 With just two main roads in the town centre, Jasper is quaint and compact. You’ll find souvenir shops, bars and restaurants that are full of local charm, but it’s the surrounding gems in Jasper National Park that really make it worth visiting. 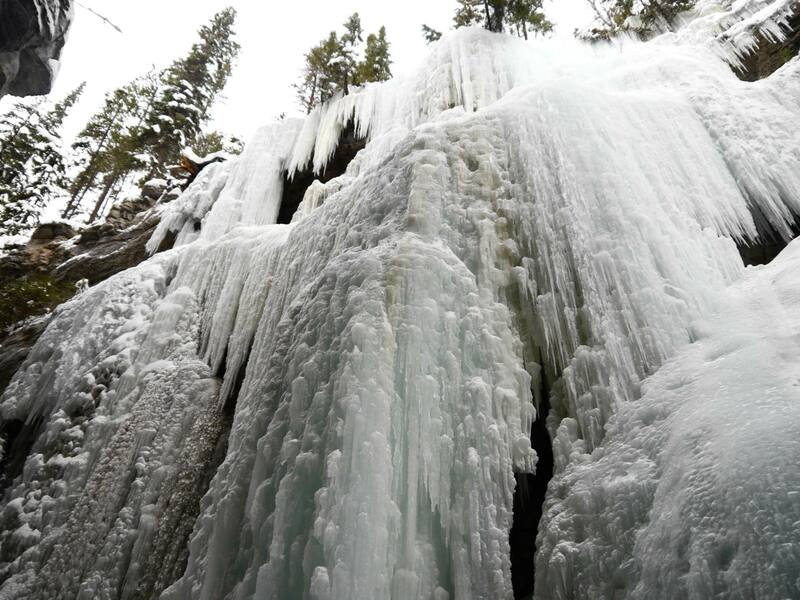 The jewel in the crown has to be the spectacular Maligne Canyon, which flows with water during the summer months and turns into a magical frozen wonderland in winter. 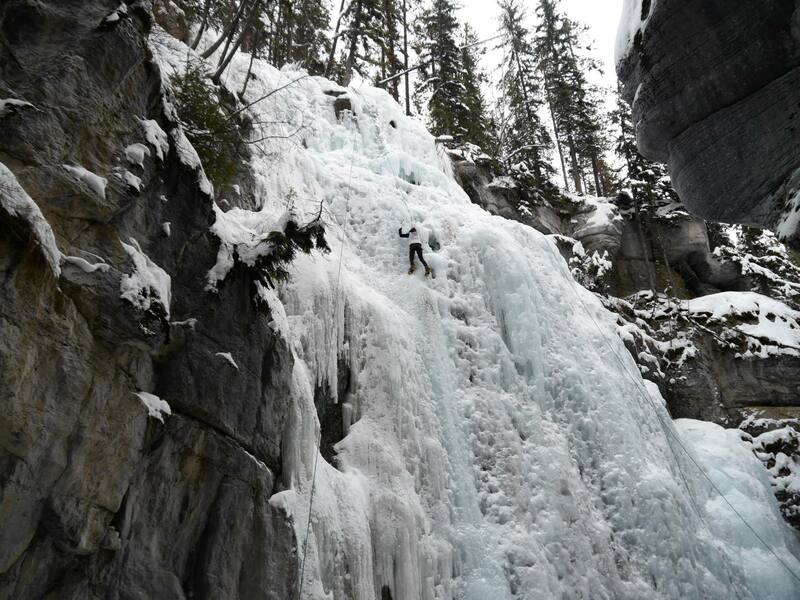 Winter is definitely the best time of year to explore Maligne Canyon as you can take your pick from ice walking through it or ice climbing up its frozen waterfalls (please go with a guide for both). 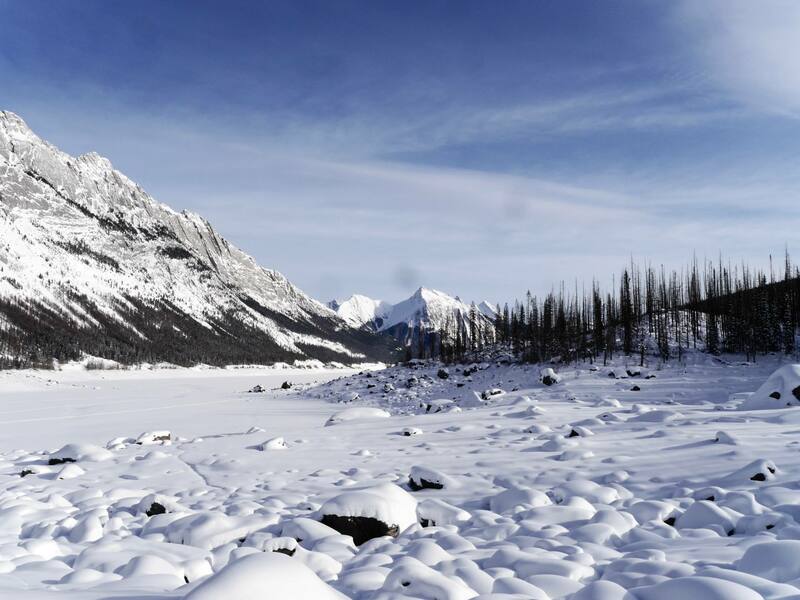 Medicine Lake is also close by, which can be walked across in show shoes during the winter months. Be sure to check out Walks and Talks Jasper for a fantastic selection of guided hikes and snowshoe excursions. 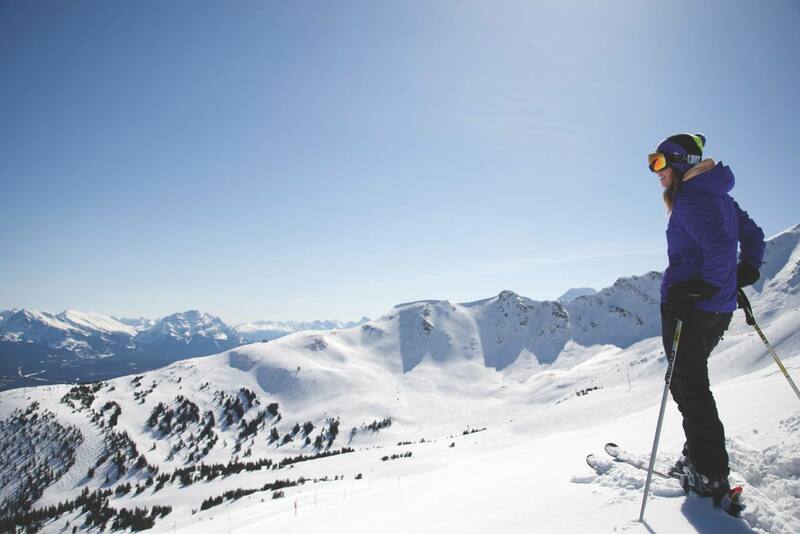 Marmot Basin is also a short drive away, which is the perfect place to enjoy a few days skiing as part of your Canadian Rockies winter road trip. 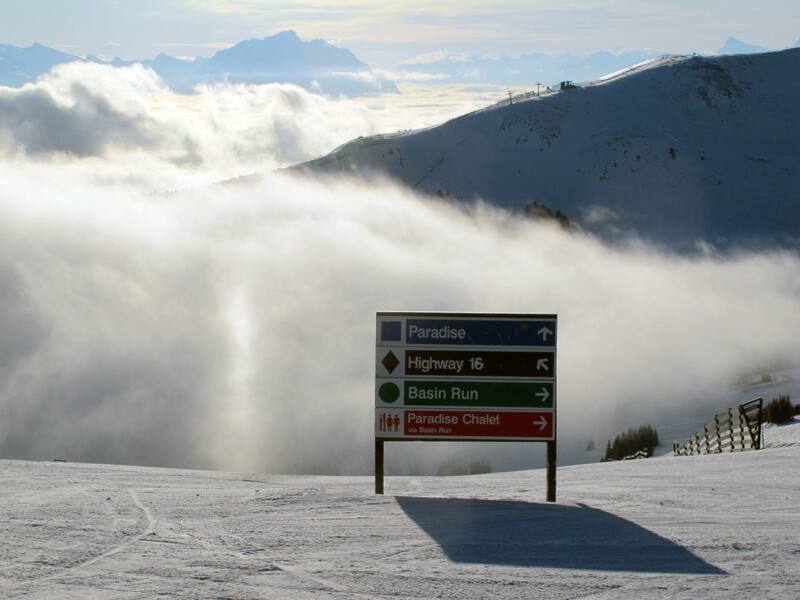 The snow at Marmot Basin was like powder and the wide-open ski runs felt scarcely populated compared to busy resorts in The Alps. 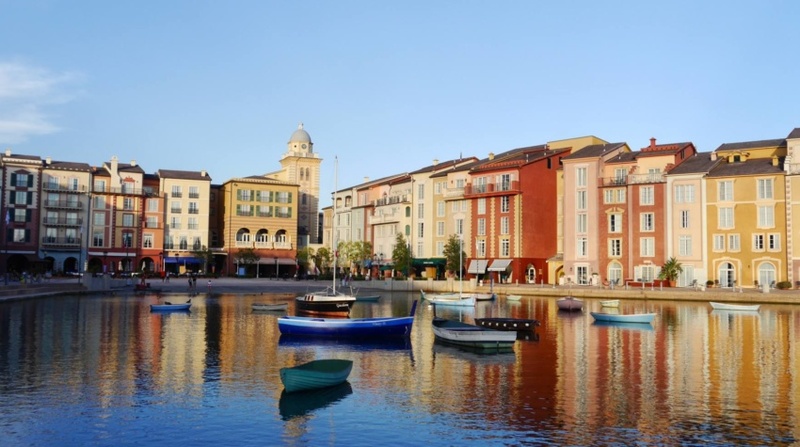 It will feel like you’ve got the whole resort to yourself! Jasper was without a doubt my favourite stop on the itinerary so I would be sure to spend plenty of time here if you want skiing or snowboarding to be a focus of your trip. After you’ve explored all of Jasper National Park, belt up for the next part of your adventure from Jasper to Lake Louise. Both locations are connected by the famous Icefields Parkway, a long road that winds through the Canadian Rockies and past the Columbia Icefields. 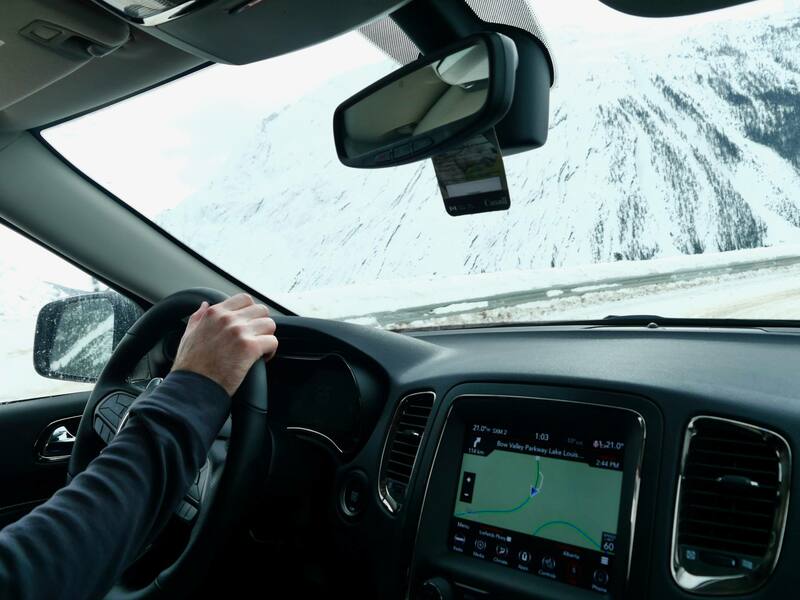 National Geographic named the Icefields Parkway one of the Top 10 Drives on the Planet, so it’s certainly not one to rush. 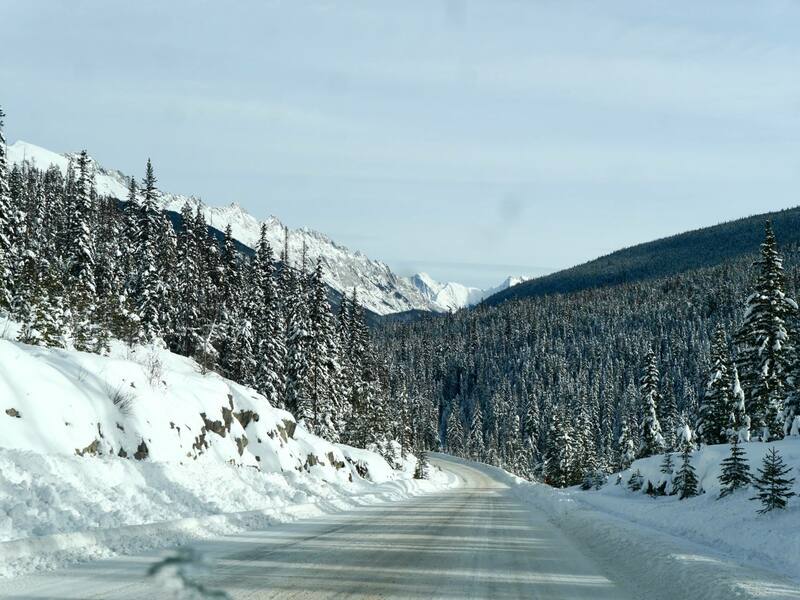 You’ll drive by snow covered mountains, frozen glaciers, frozen waterfalls and the magnificent Columbia Icefields. This stunning drive along the Parkway in Winter almost takes you to another planet. In winter the road frequently closes for snow ploughs and avalanche control, so make sure you account for this. You also need to make sure you set off with a full tank of petrol as there is only one petrol station at the Saskatchwan Crossing and due to its isolated location it’s the most expensive in the province. There are also no shops or cafes on route so be sure to stock up with water and food for the journey. 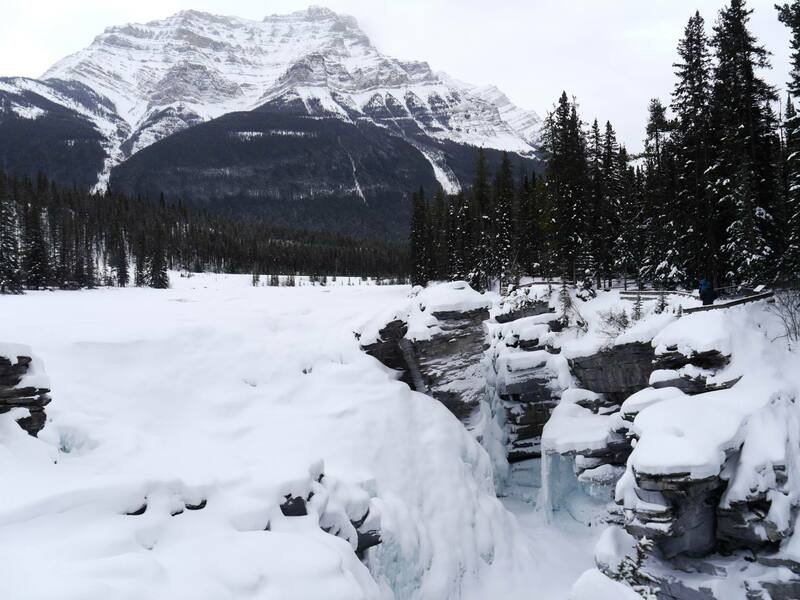 We drove the Icefields Parkway mid-morning after some heavy snowfall and it took around 4.5 hours to reach Lake Louise (including a stop-off at the beautiful Athabasca Falls). In summer it would take around 3 hours minimum. 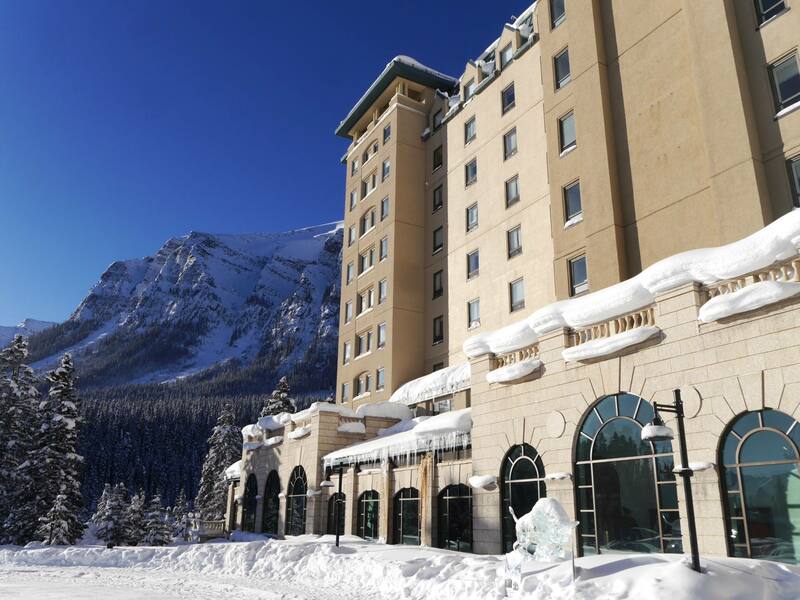 The iconic Lake Louise is a must-see on nearly all Canadian Rockies winter road trip itineraries, and for good reason. It’s perfectly framed by rugged mountains on one side, and the Fairmont Chateau Lake Louise on the other. 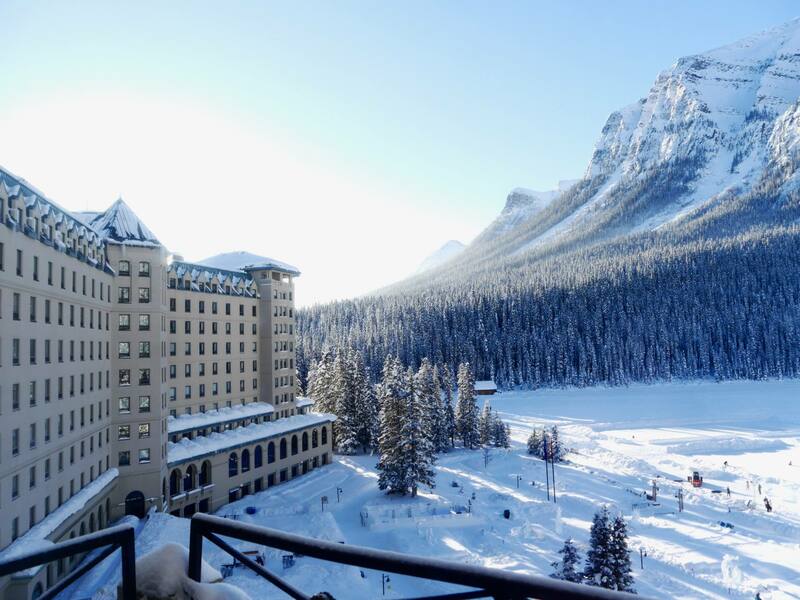 The spectacular setting makes the Fairmont Chateau Lake Louise a bucket-list worthy hotel stay, and is the only option if you want to stay around the lake. In winter the whole lake freezes and becomes a hub of activity with ice-skating, ice hockey and an ice bar. 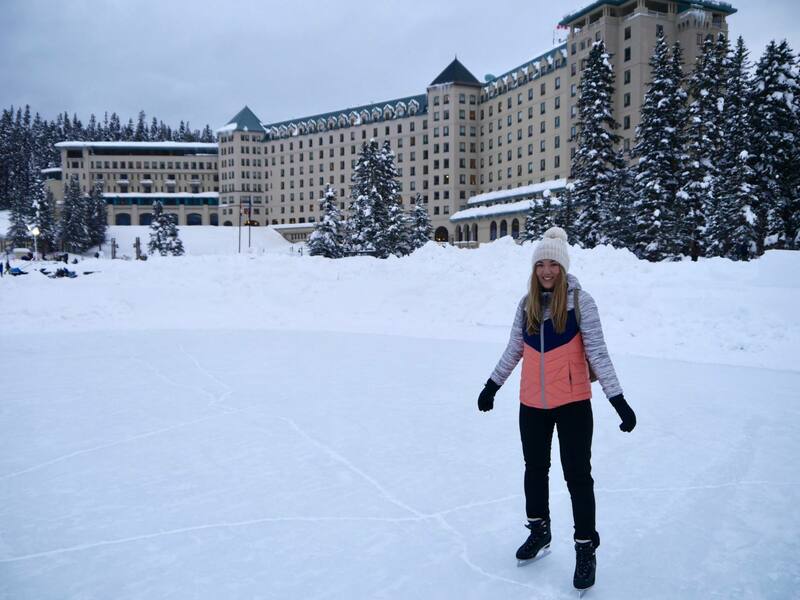 Skating on frozen Lake Louise was one of the things I was most looking forward to on our trip and it was definitely one of the most surreal and magical things we did. 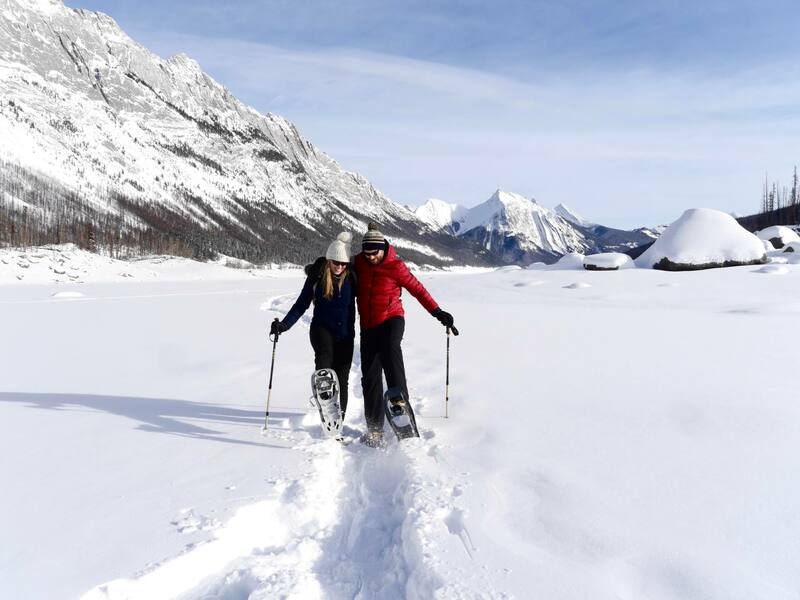 You can also walk around the circumference of the lake with snowshoes in winter and will feel like you have it all to yourself (compared to the crowded summer months). You don’t need to spend too long here, but it’s a must see. The drive from Lake Louise to Banff is the easiest of the road trip and only takes 45 minutes along the Trans Canada Highway. Banff is one of the most famous towns in the Canadian Rockies and is home to the ski resort of Mount Norquay. 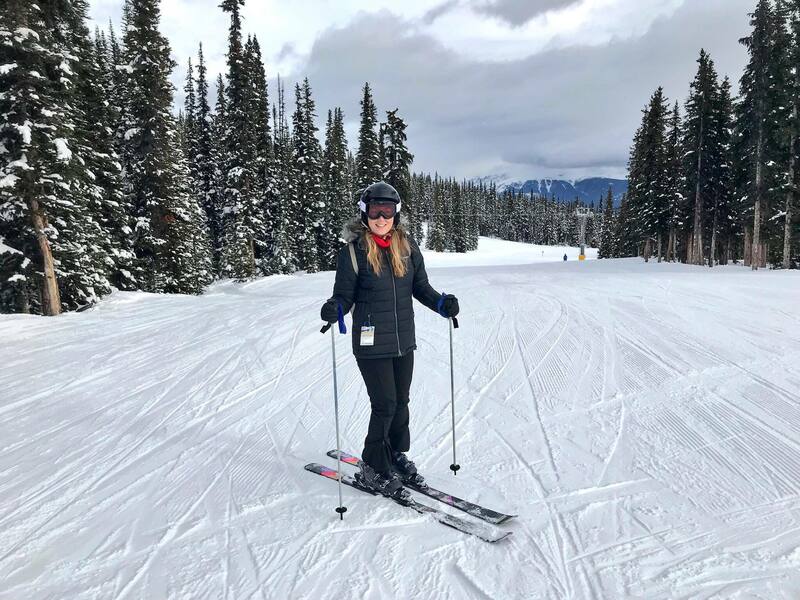 In the winter months, Banff becomes a popular weekend ski-trip destination for Calgary city-dwellers, but is brimming with tourists throughout all seasons. 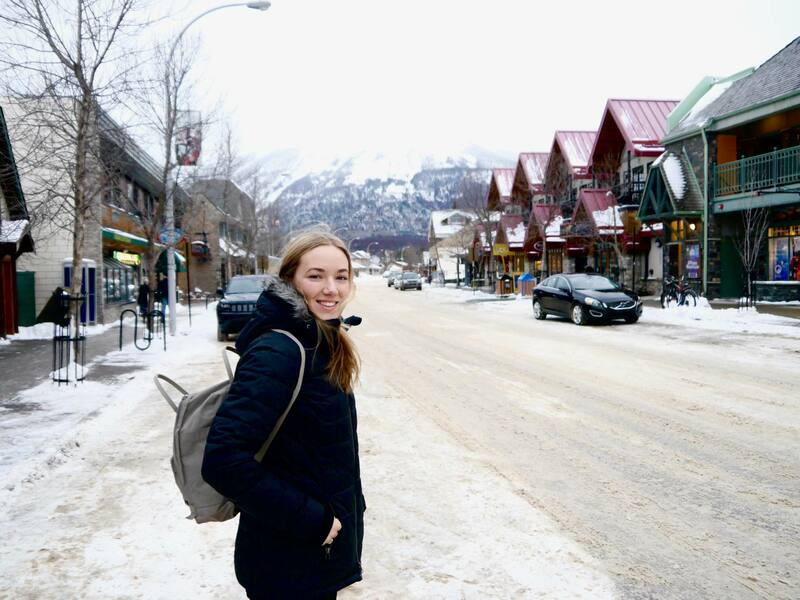 It’s larger and more cosmopolitan than little Jasper (it has a Starbucks, a Lulu Lemon and a McDonalds), but it is still surrounded by mountains and has oodles of Alpine charm. 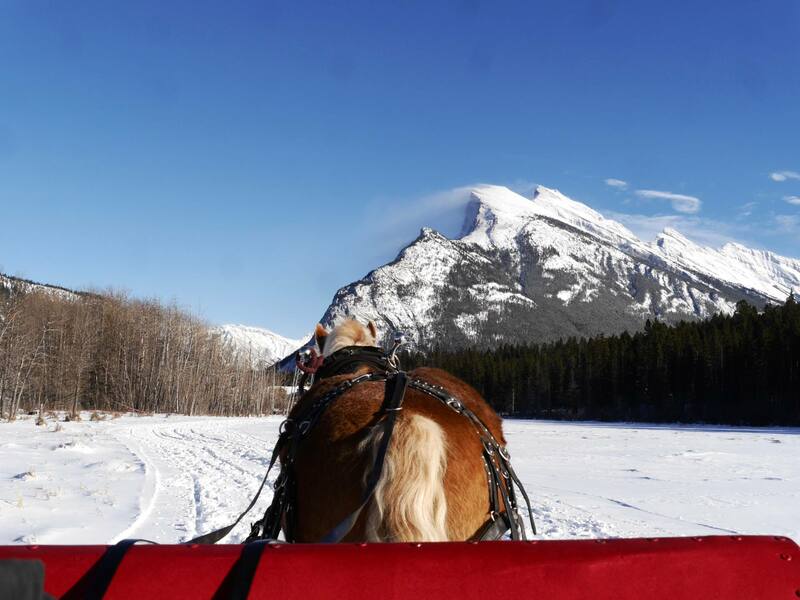 Head to Mount Norquay for your fix of fun on the snow and choose from skiing, snowboarding or tubing (a fun and alternative option for kids, families and non-skiers). 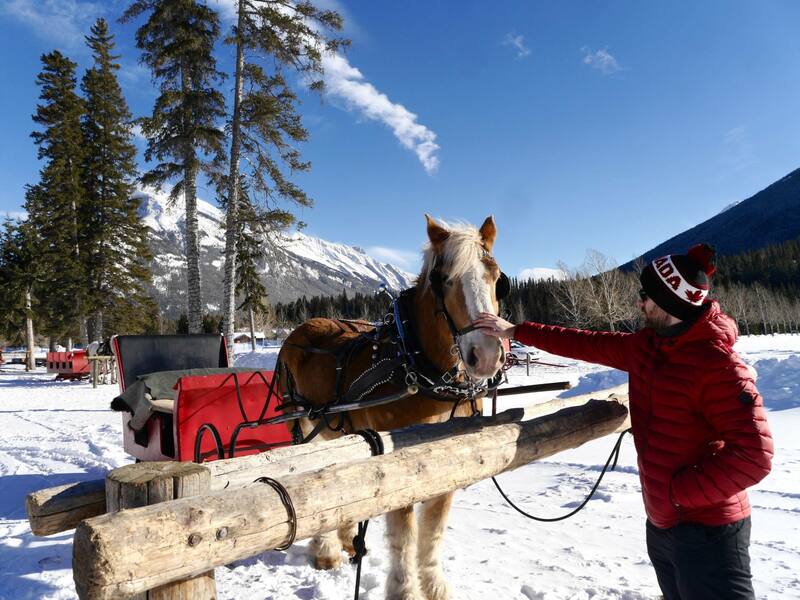 To enjoy the great outdoors at a slower pace, take a visit to Banff’s Warner Stables and book in for a horse-drawn sleigh ride, a great option for both couples and families. The Fairmont Hot Springs is an iconic and incredibly romantic luxury hotel in Banff that is well worth a visit, even if you don’t stay there. The outdoor heated pool stays open throughout winter and still feels incredibly warm even in the depths of winter. 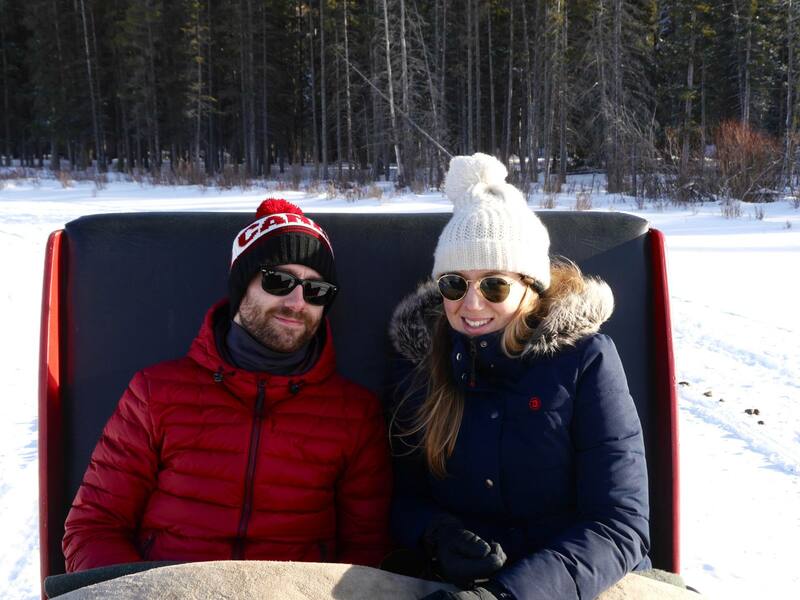 We loved our short stay in Banff and if we had more time we would have also done the Banff Gondola, the Banff Upper Hot Springs and the Whyte Museum of the Canadian Rockies. Top Tip: If you have more time to spare, consider visiting the charming town of Canmore after or before Banff. 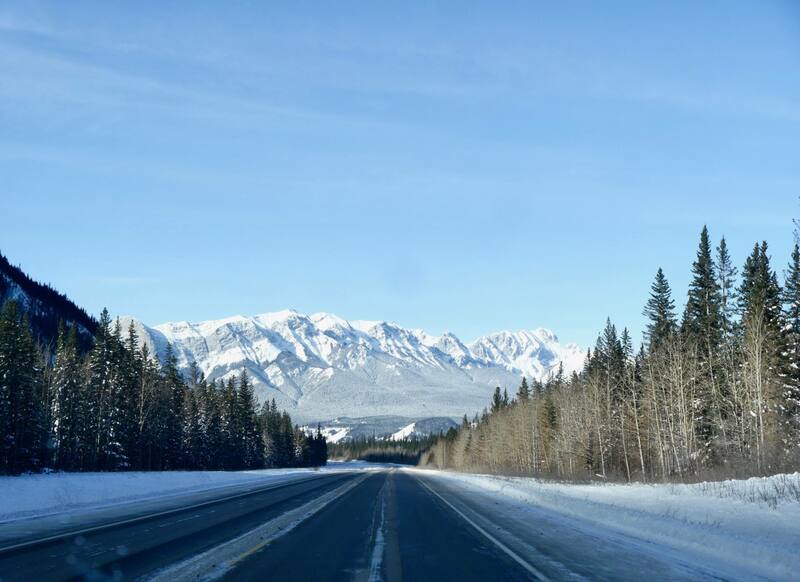 The final journey of the trip from Banff to Calgary will take around 1 hour and 30 minutes and is an easy highway drive. You’ll slowly start to notice the ground get much flatter as you leave the magnificent Rockies and head towards the skyscrapers of Calgary. 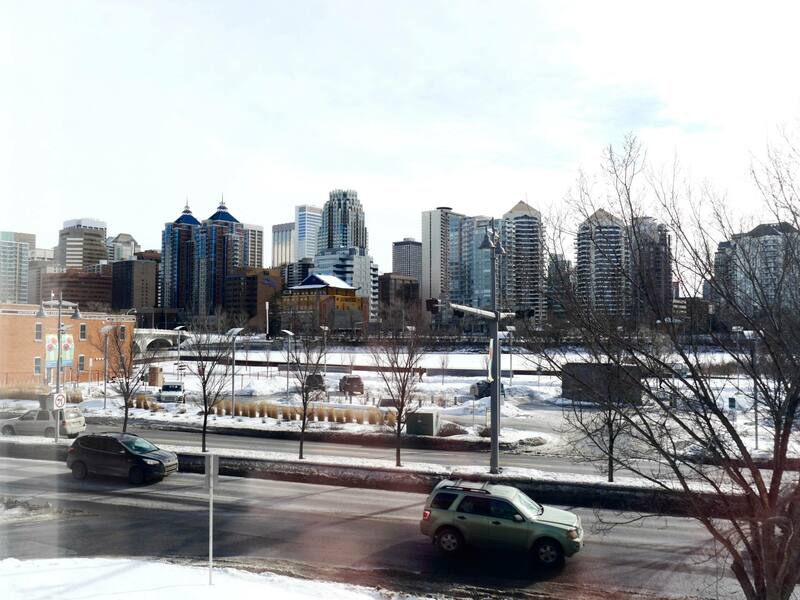 Calgary is known as the economical and business heart of Alberta province and feels more fast-paced compared to Edmonton. There are enough beer halls, cocktail bars and fabulous foodie establishments for the locals to try somewhere new every night of the week. Acclimatise back to city life with a stroll around 17th Avenue, a pedestrian friendly district of cafes, boutiques and artisanal coffee shops. You’ll also find the aesthetically beautiful bake shop called Ollia which offer Macaron making and decorating classes. 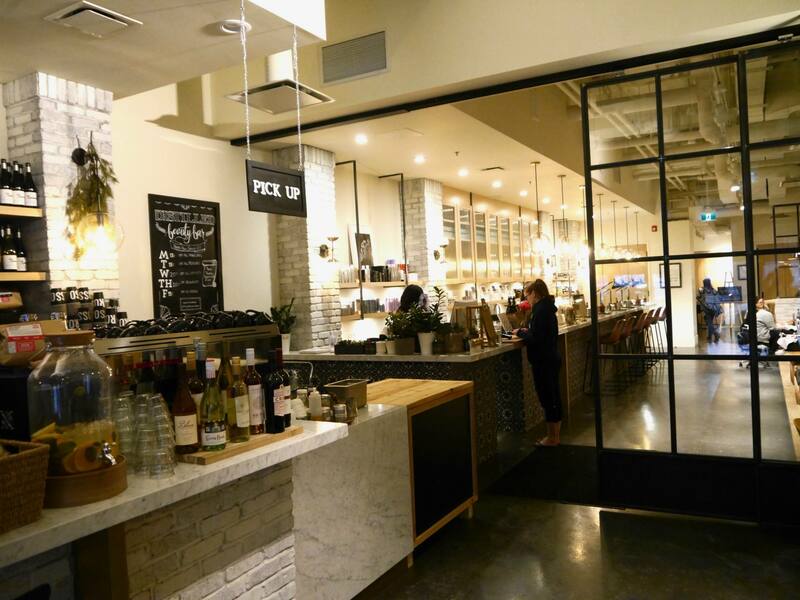 The residential area of Marda Loop is also worth exploring and is home to the innovative and family-run Distilled Beauty Bar and Social House. With Scandi-inspired interiors, killer flat whites and charcuterie board, this is a place to pamper in style. Calgary is also the perfect place to catch a game of Canada’s national sport; Ice Hockey. Deciding when to take this epic road trip will probably be the hardest part of your planning. You could totally do it in summer, but all the hotels, towns, ski resorts and parks will be more crowded and the hotel rates will be more expensive. Summer is high season in The Rockies, but if you take a chance on winter you’ll be rewarded endlessly. 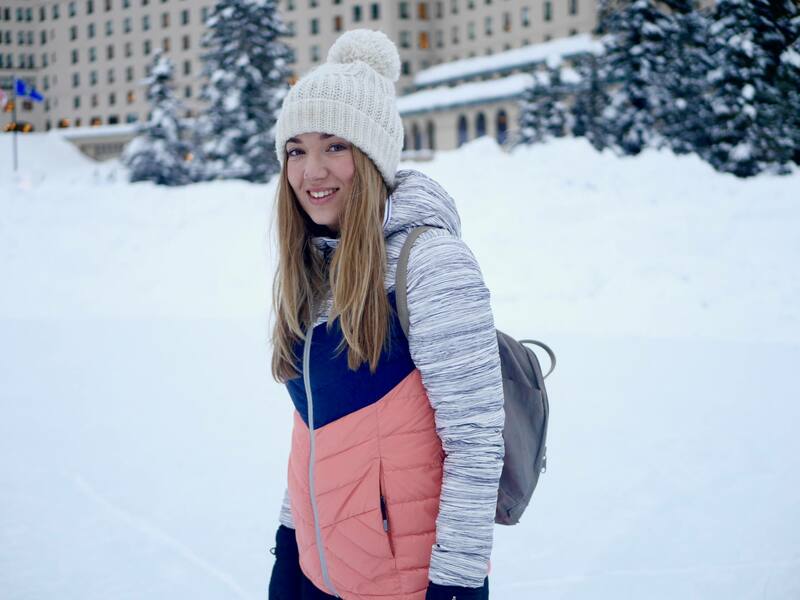 We travelled in February 2018 so that we could focus our trip around winter-based activities and plan a travel experience with a difference. We had such an incredible time that the option to visit the Rockies in winter seems like a complete no-brainer for me now. Some people may feel put off a winter trip because of Alberta’s freezing temperatures (it was between -10 and -28 when we visited in February) but I think it’s a small price to pay for the breathtaking snow-covered scenery and frozen spectacles. With the right clothing you’ll be able to spend all day outside. 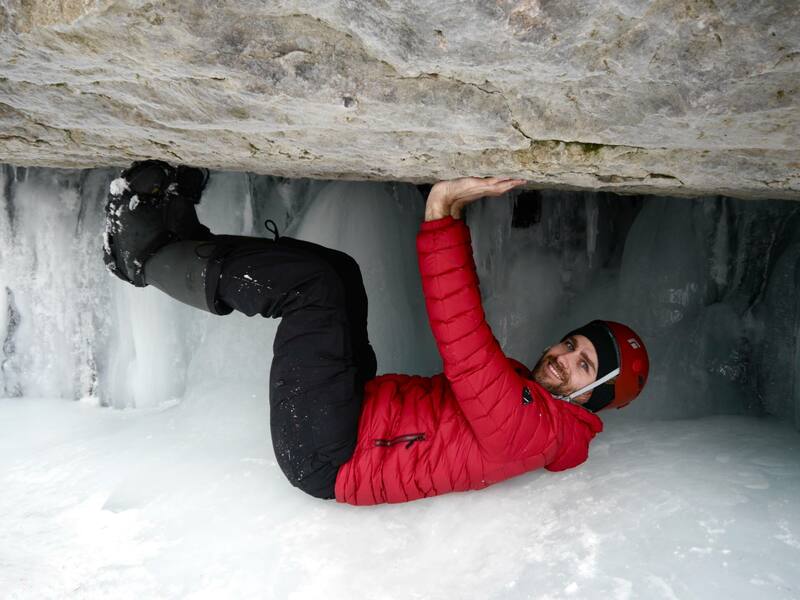 Check out my Canadian Winter Survival Guide for packing tips. It’s worth mentioning that the bears go in to hibernation during winter, but there is still plenty of wildlife to see in the snow. We had to take it steady on the roads but with the right car and winter tyres, driving in Winter is completely fine. Canada is a country prepared for snow. Whenever you choose to go, getting out into the great outdoors should be the main focus of your trip. I would strongly recommend getting a hire car if you are thinking of doing this route. The destinations are in rural settings and the public transport is scarce outside of the cities. The hire car really gave us an amazing sense of freedom and I liked that we were totally in control of when we made our journeys. 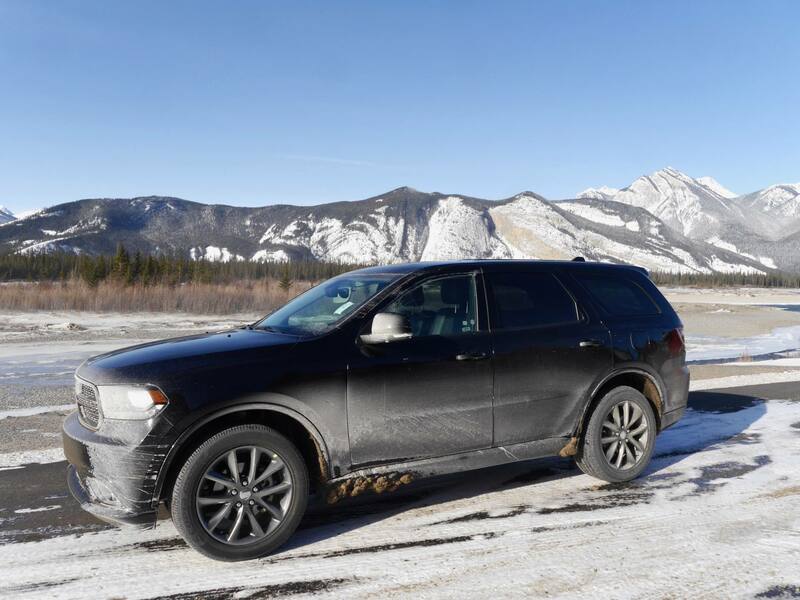 Our huge Dodge Durango SUV was kitted out with winter tyres and heated seats and was incredibly comfortable for the long journeys. 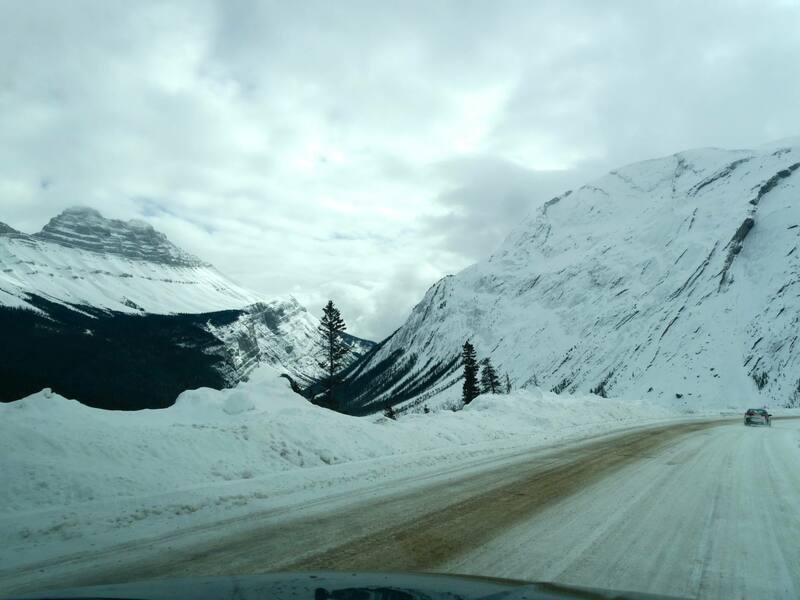 If you can’t drive or don’t feel confident enough to drive, Brewster and Sun Dog Tours offer shuttle trips along the Icefields Parkway from Jasper to Banff. Top Tip: If you’re driving through Jasper National Park, The Icefields Parkway and Banff National Park, you’ll need a National Park Pass. They can be purchased at the information and visitor centres in Banff, Jasper and Lake Louise. They can also be purchased at the Park Gates. 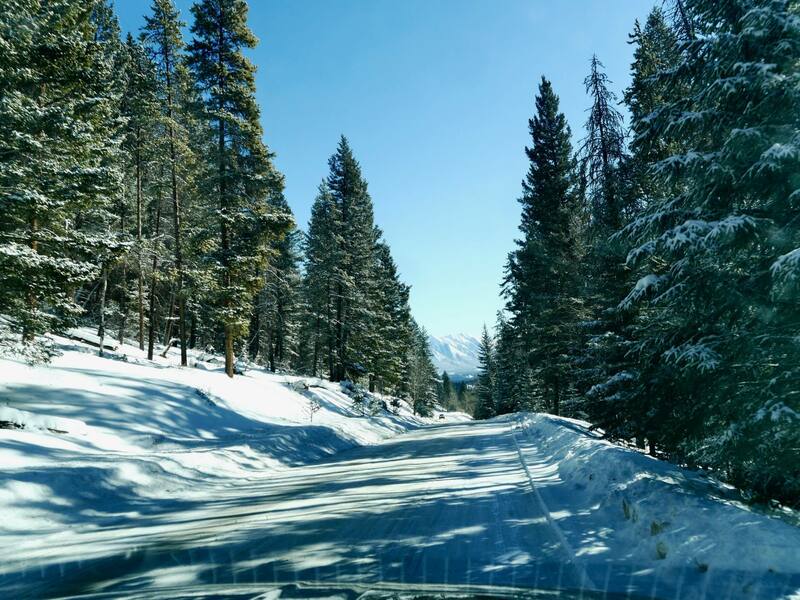 Need more help planning your Canadian Rockies winter road trip? This blog post has been written as part of a sponsored collaboration with Travel Alberta. All words, views and images are my own. What a fantastic trip. We will be in Canada January 2020 and looking at doing a similar road trip around Alberta. Living in sydney, Australia I have no experience with winter driving which rental car company did you use to ensure your vehicle is fitted with winter tyres? I live in Calgary and do a trip out to Banff at least monthly in the winter. 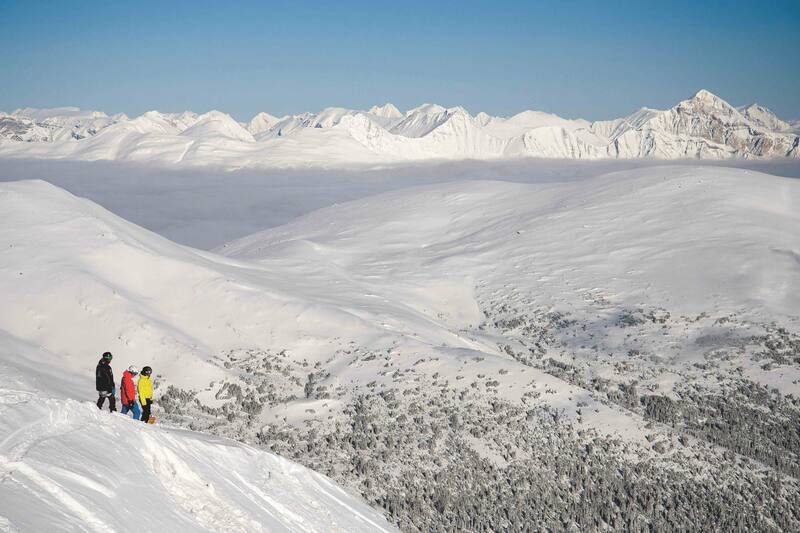 Skiing is top on the list. I sometimes forget how special it is to live here and how lucky we are to have the rocky mountain playground right outside our backdoor. Thanks for the reminder. It may sound strange but winter in Alberta is my favorite time of year. Maybe because it seems to last almost 8 months some years! Glad you had such a great experience. Do come again! Maybe during the summer next time to experience the Calgary Stampede. Lucky you David! You’re so lucky to have the Rockies on your doorstep. Banff is stunning as is Jasper and Lake Louise. You must be hardy to survive those Canadian winters though. It was a real shock to the system for me! I’d love to return in summer. Hi Kim! Your trip sounds fantastic. You don’t need any real experience of driving through snowy mountains but you do need a decent car with good quality winter tyres and general common sense (knowing to go at a steady pace / not to slam on breaks etc). 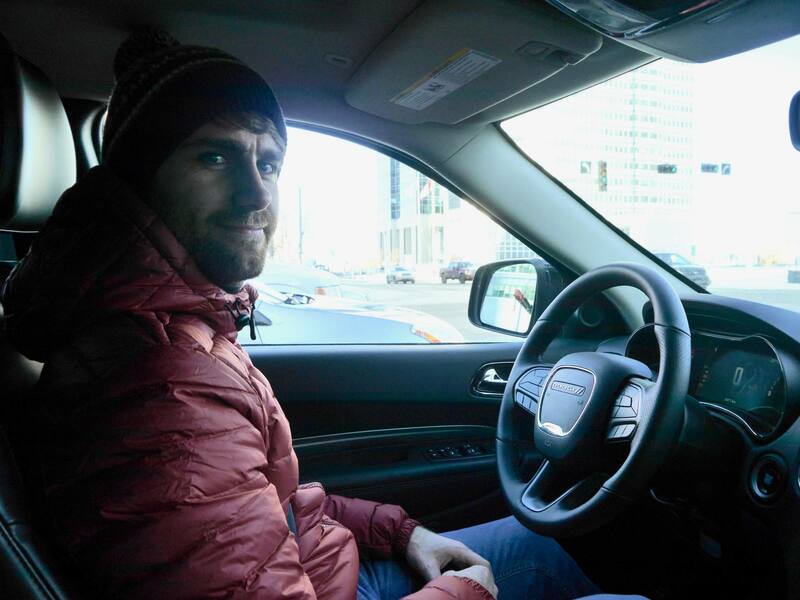 My boyfriend drove us through the Rockies in Feb and he has no real winter driving experience. It sounds like between your Hubby and son they’ll have it covered. Just make sure to get a heavy duty SUV and you’ll be fine. Enjoy the ride! Wow…what an amazing road trip this was! Since I’m from super-snowy upstate New York, I’m not averse to driving in the snow. Since I now live in Oregon I’ve enjoyed traveling up to Crater Lake in the winter. 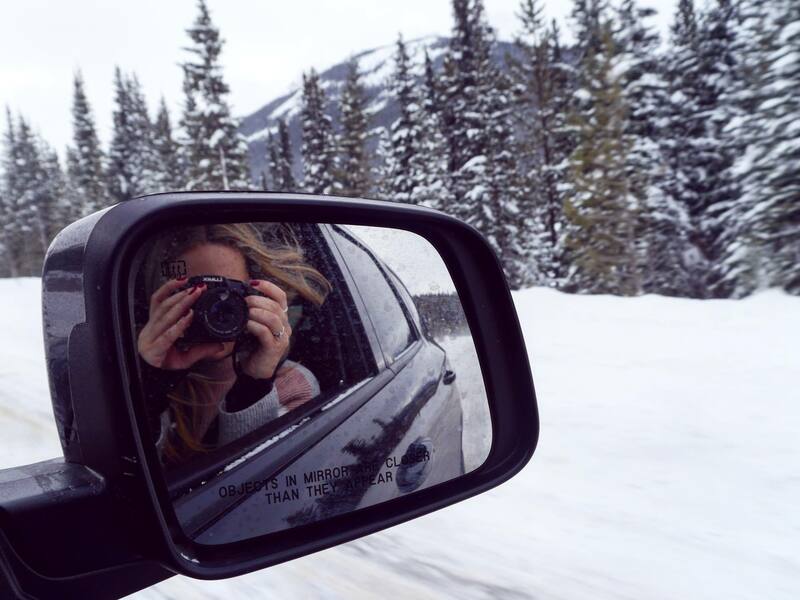 This blog piece on a Canadian road trip in the winter is an inspiration to my family to travel there in the winter. Thanks for your comment Perry! It was such an epic trip and one that I will neer forget. Being from New York you’re not too far from Alberta! And sounds like you’re used to the snow. Hope you get to visit one day. This is pretty much exactly the trip I want to do when I eventually make it to Canada. Hadn’t really considered a winter trutas I thought the driving would be too tough but it looks amazing. I know it would be beautiful in the summer too but I don’t really fancy the crowds. Girl this post was INCREDIBLE! I’ve been wanting to visit Canada for so long (especially Lake Louise, Banff and Edmonton! ), your post was so informative and you nailed the pictures! 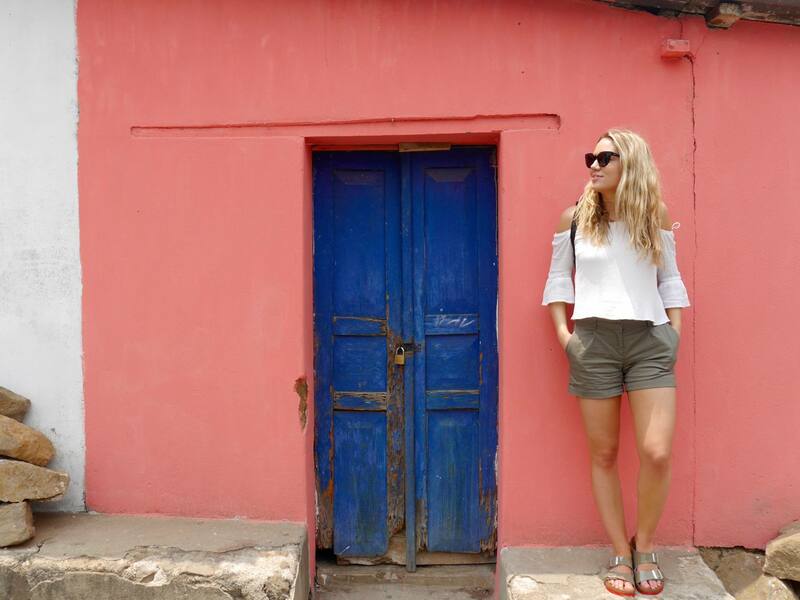 A great read love – thank you for sharing! Yes I would love to go here – thanks for the tips. I’ve been banned from going on my own by my boyfriend haha. What month do you think would be best? We would love to see the bears. Also any idea of rough budget to do this?